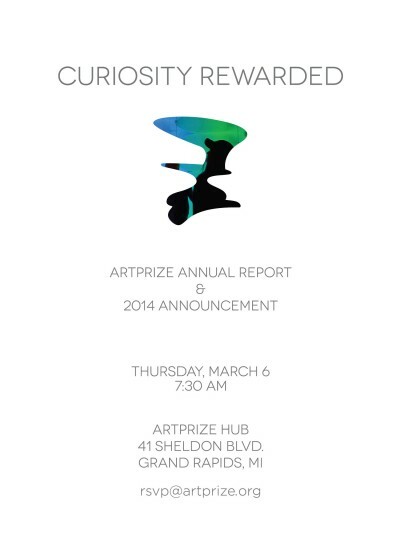 On March 6, we are excited to announce another improvisation on the ArtPrize theme. We're changing the rules, changing the awards and changing the conversation. We hope your curiosity has been piqued. Please join us on Thursday, March 6. Light breakfast fare served at 7:30 a.m., program begins promptly at eight.